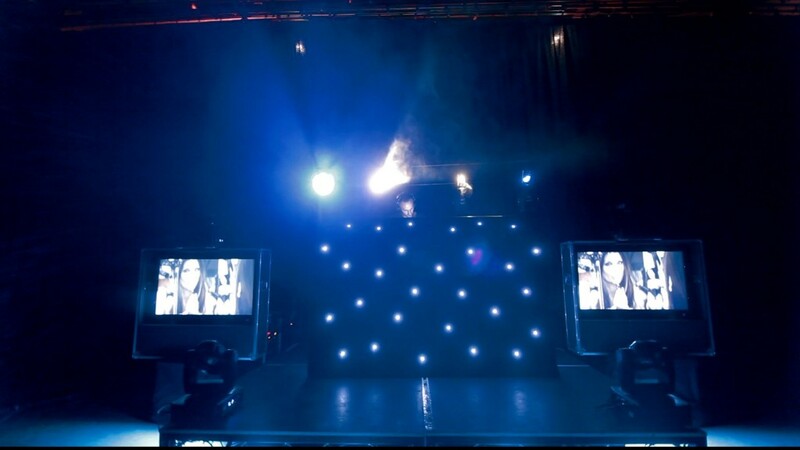 Top quality lighting hire in Kent is brought to you by Monitor Lighting, the industry experts when it comes to providing event lighting that’s suitable for internal and external use. The growing number of successful events we have behind us is due to our experience and genuine interest in individual functions, and yours could be our next success story. Whatever the occasion may be, we are sure to have an ideal lighting solution to create a complementary atmosphere. If romance is on the cards, lanterns can provide the subtle tone that creates a relaxed mood, whilst still keeping the situation bright and upbeat. Due to their varying sizes, with the ability to be used together and look magical against an equally magical background, lanterns are perfectly suited to external use in many occasions, including at weddings. When looking for lighting hire in Kent that provides a mystical, yet classic, touch to your event, Monitor Lighting offers star cloths; a simple but effective backdrop that is extremely versatile and adaptable in situations ranging from weddings to proms and corporate events. No matter the size of the room, these lights never overpower, but rather deliver an atmospheric depth throughout your venue. Use effortlessly to draw attention to your band, top table or stage for speeches. Similarly, our fairy light canopies add a touch of overhead elegance and enchantment to any event, for any age. For something that makes less of a statement but provides excellent expanses or splashes of colour (where needed) to brighten up the room in a colour of your choice, our uplighters are a reliable and versatile piece of equipment for any function. With our LED units producing almost no heat as a result of energy-efficient attributes, these are a great choice for the environmentally conscious. With the lighting for your special occasion sorted, it’s time to think about your PA hire in Kent and let the event truly sparkle. Whether you simply require a microphone for speeches or a more complex band system to keep your guests entertained well into the night, Monitor Lighting has the high-quality equipment to make lasting memories. This consists of LED lighting and PA sound systems; including wireless options. Lighting and sound systems can draw the focus to a centre-stage performance, whether that’s a romantic first dance at your wedding or hosting important speeches for respected figures. This is where Monitor Lighting can help you with stage hire; our experience with traditional aspects is just as extensive as it is with those that are more technical. As our stages can be assembled in varying sizes, you can easily transform an accommodating hall or a smaller dining room into a fun-filled venue. To get your guests fully involved with the vibrancy of the lights and the PA sound system bringing your entertainment to life, dancefloor hire should be on your list. To get the party in full swing, Monitor Lighting can provide sparkly, chequerboard, multi-coloured and LED dance floor hire in Kent, bringing back everybody’s favourite 70s and 80s colour explosions beneath their feet. Get in touch with us here at Monitor Lighting for information, guidance and recommendations to plan your perfect occasion. Use our online chat or find our contact information here, where you can also submit your enquiry to our contact form.